It&apos;s Back To School time! 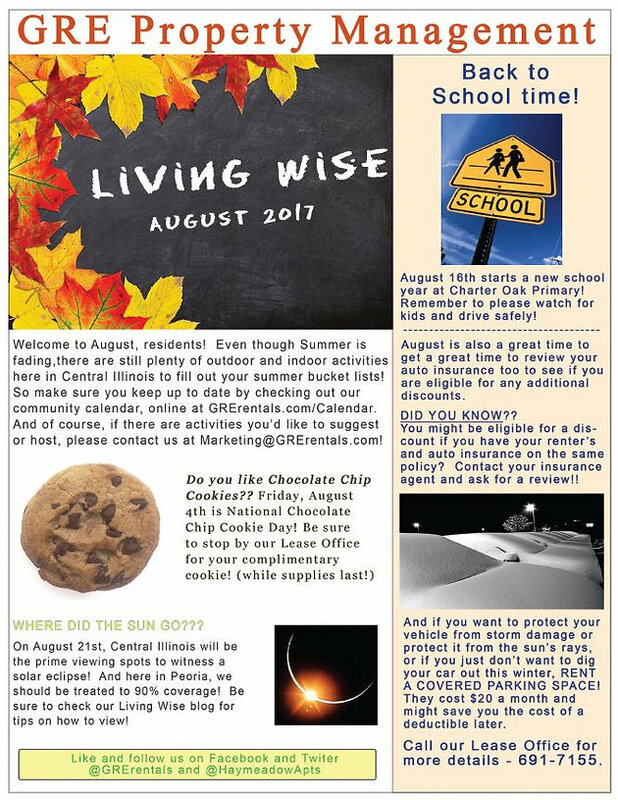 (almost) And in this month issue of Living Wise, we talk about watching out for kids headed back to school in a couple of weeks, how you could save money on Auto Insurance (not necessarily by switching to Geico), and more! Be sure to read this month&apos;s Living Wise for neat tips, money saving advice, and just general fun! And as always, if there is something you&apos;d like for us to address or discuss, please email us at Marketing@GRErentals.com!Thank you!